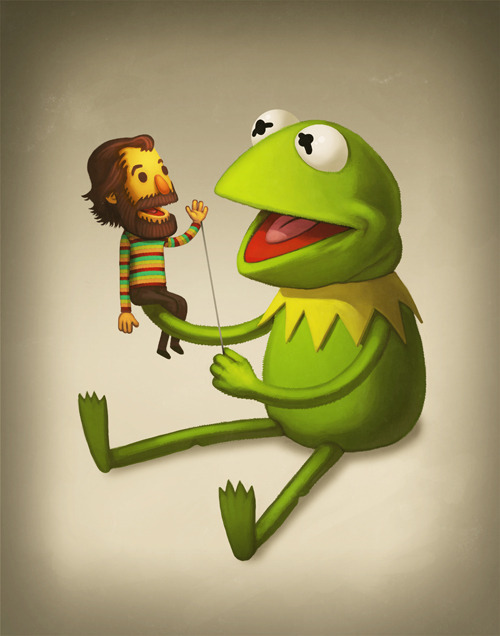 The Lovers, The Dreamers, And Me: A Jim Henson Tribute Art Exhibition. Sean Byrne’s acclaimed horror film The Loved Ones Madman Entertainment failed to capture the Australian box office, opening outside the top 10 with a screen average of $1,586 $141,152 from 89 screens.But it’s not like Australians reject torture on film; a different kind of physical abuse did reach the top of the box office, with Jackass 3D Paramount earning $3,582,884. via The Loved Ones, not pretty enough at box office | Encore Magazine. Terriers is not an easy show to market. When you eventually hear the concept in its most bare-bones construction – two low-rent private investigators solve cases while engaging in odd-couple dynamics in a beachside town – it sounds like approximately every other procedural that has ever been on television. Your Bones, your Mentalists, your Criminal Investigation Naval Security Committee Bayside Protection Units. But it isn’t like any of those shows.The differences are subtle, though. Terriers is very funny, without ever drawing any attention to its jokes. It’s exciting, but never sleek. There are moments of violence, but they arrive unexpectedly, never at the beats in the story we’ve been conditioned for, and they’re sloppy and awkward and look patently un-choreographed, fights between people who don’t know how to fight. There are self-contained weekly cases and an ongoing narrative. via The Best, Worst Advertised Show on TV | Smogger. Mastering the Craft of Screenwriting:Syd Field Lecture Series8 – 11 November 2010Screen Australia is proud to offer Australian filmmakers the opportunity to attend a series of presentations by Syd Field – the man who literally wrote the book on screenplays – as he presents his workshop: Mastering the Craft of Screenwriting. To be held over four nights in Sydney, at the Chauvel Cinema in Paddington and the Entertainment Quarter at Fox studios, the series will cover the evolution of the screenplay, setting up characters and storylines, writing effective dialogue and preparing and writing great scenes. via Screen Australia – development programs – Talent Escalator – targeted initiatives. 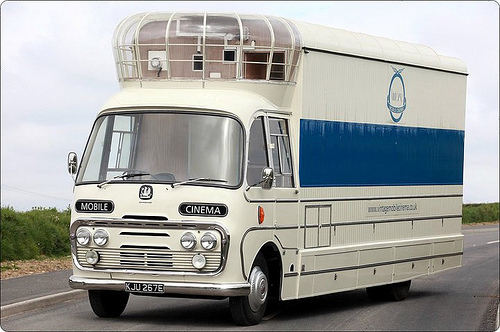 Sweet !via BLDGBLOG: Vintage Mobile Cinema. In one sentence, what do you actually do all day in your job? I try to make things fascinatinger. <3via Ira Glass Likes Excess and Giant M&Ms — Daily Intel. Another death of 3D article shared by @ebertchicagoWhy 3-D is already dying – Jul. 27, 2010. Entertaining afternoon read from the lovely Stu Maschwitz:ProLost – ProLost Blog – Seven Fetishists And Why They Should Relax. According to the studio accountants…Insane Studio Accounting: Warner Bros Claims $167 Million Loss Over Harry Potter and the Order of the Phoenix | /Film.Ponder this as you do your taxes this year.